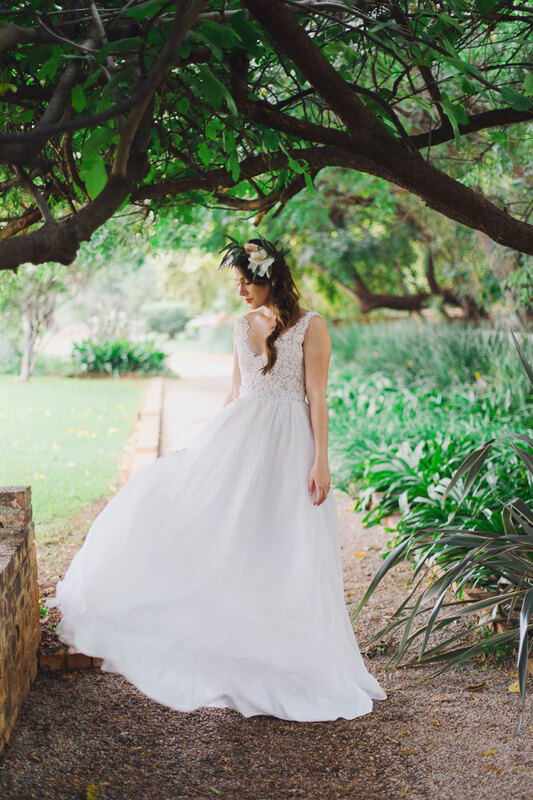 UK wedding photographer Nina Wernicke has spent a lot of time in South Africa, and it’s a country and a culture that remains very close to her heart. 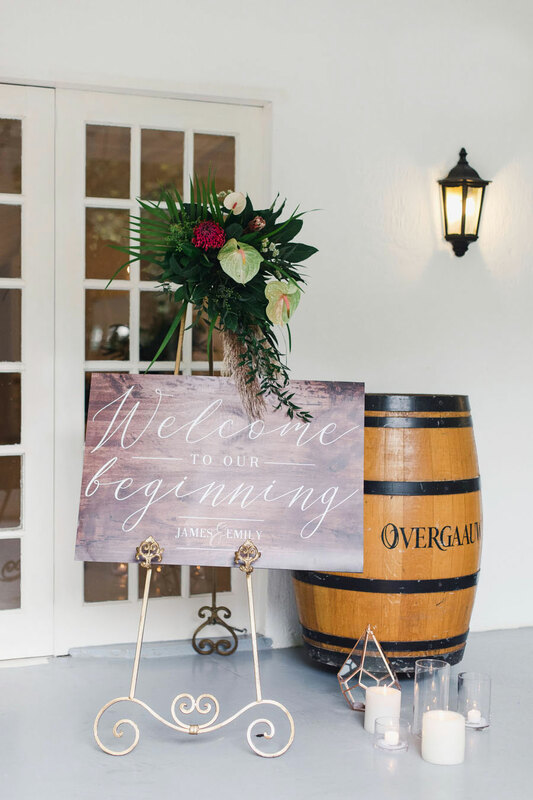 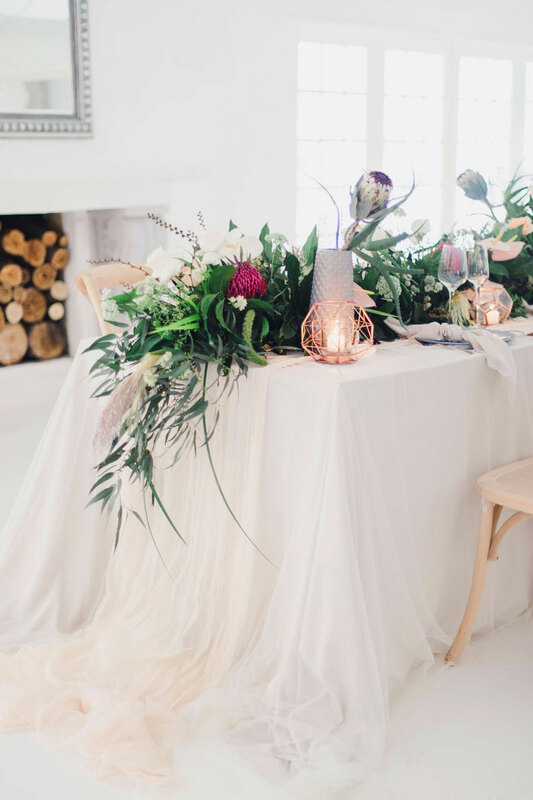 She’s always found a lot of inspiration for weddings here – from safaris to vineyards, from sandy beaches to the lush countryside. 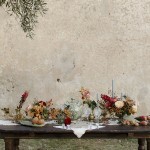 Words and images by Nina Wernicke. 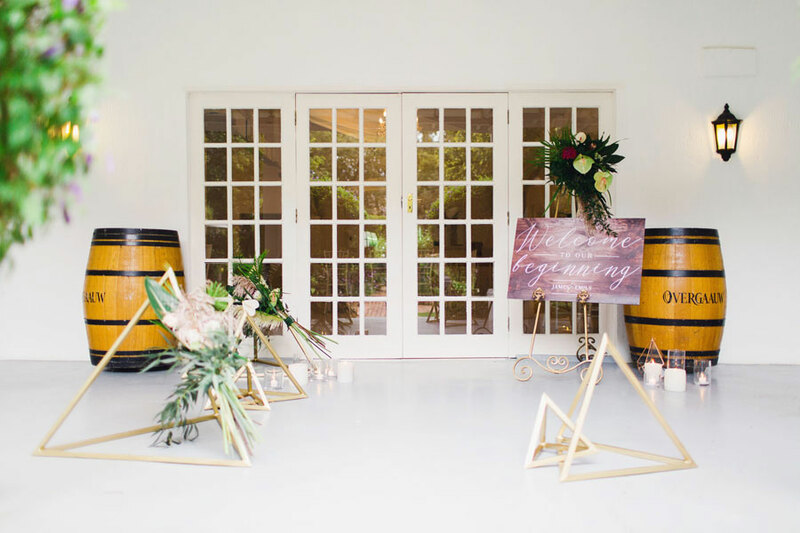 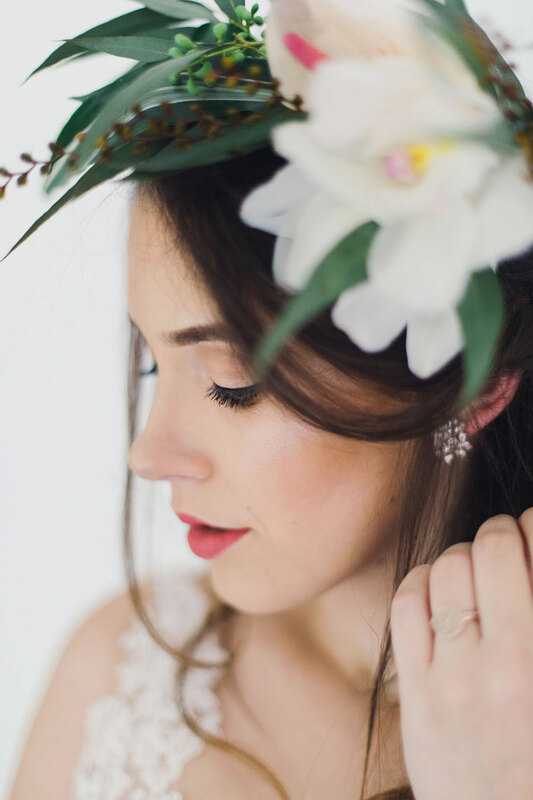 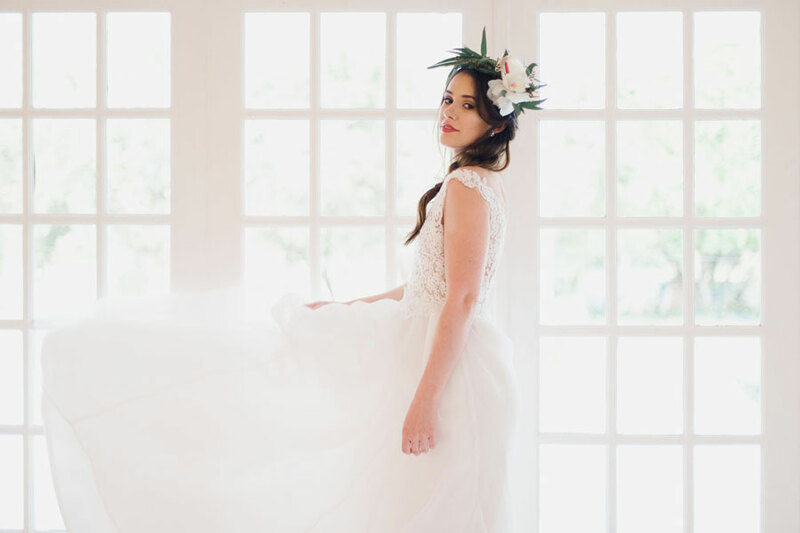 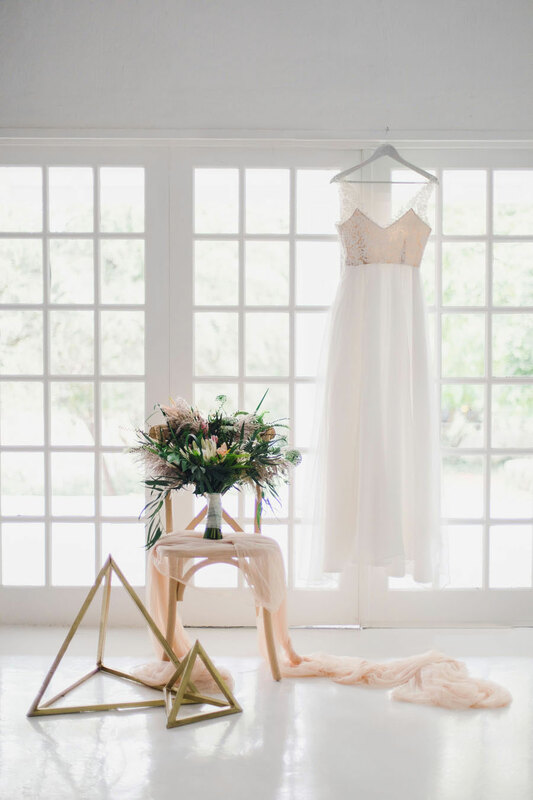 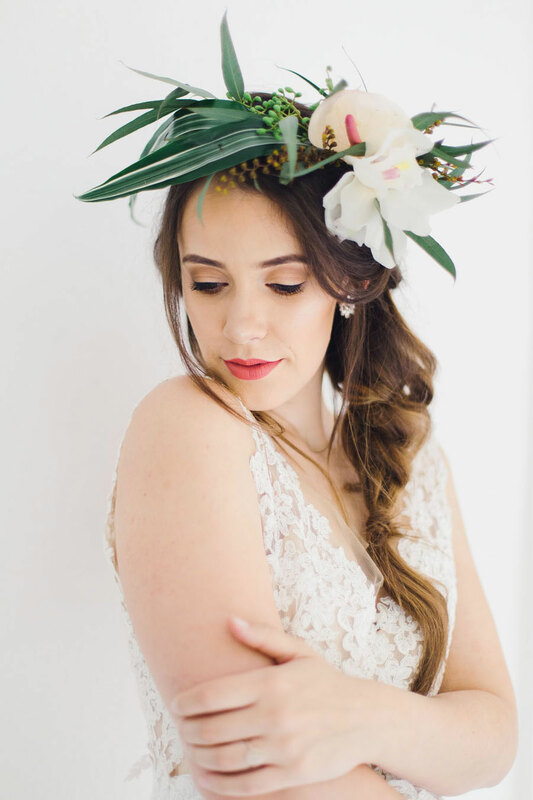 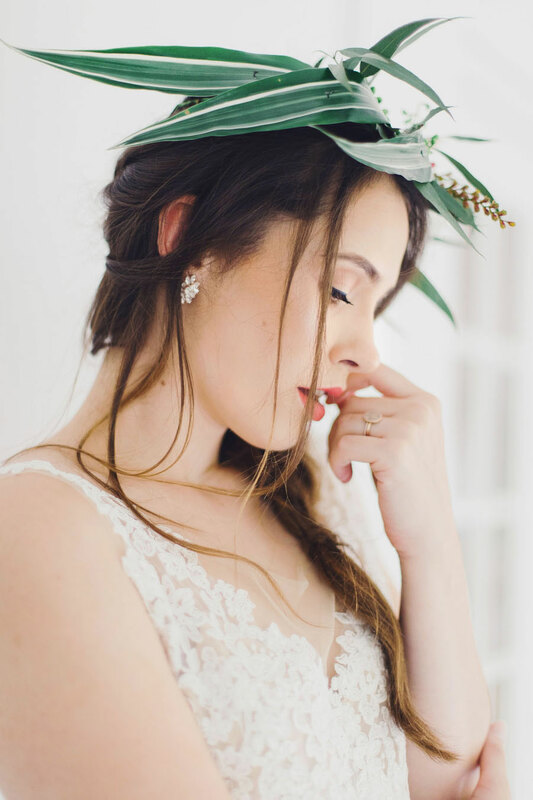 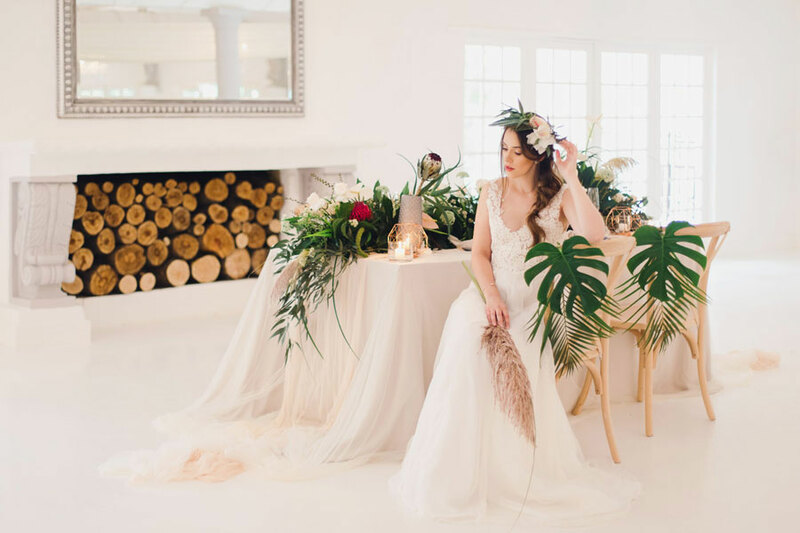 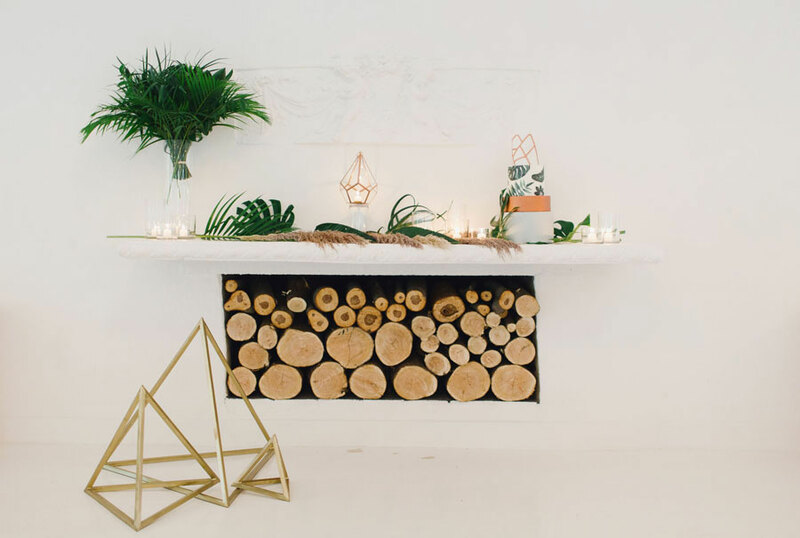 So when she recently spent some time in South Africa, she got together with wedding planner Natalie from ‘Planning and Peonies’, and together with a great local team, they made her vision of a botanical boho wedding come alive. 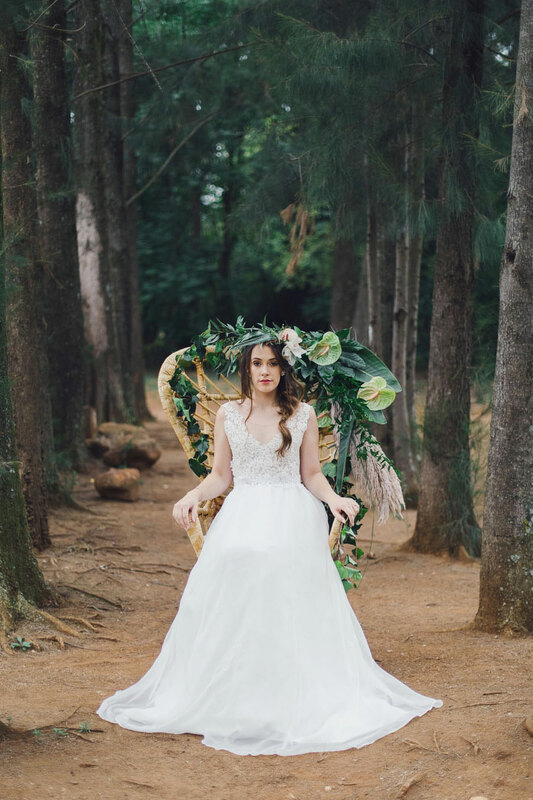 Her vision for the shoot were rich greens and wild, overgrown flowers taking over. 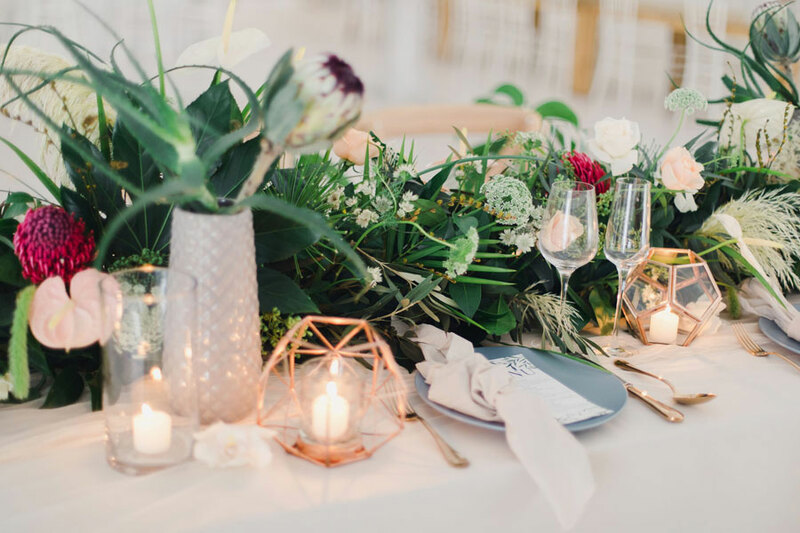 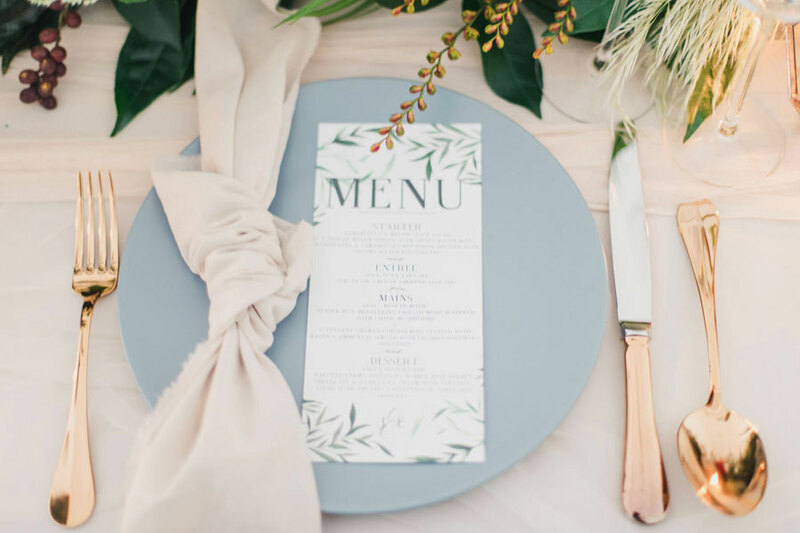 The colour palette consisted of various shades of green, clean whites, and the odd pop of colour thrown in – mainly copper, rose gold and blush tones. 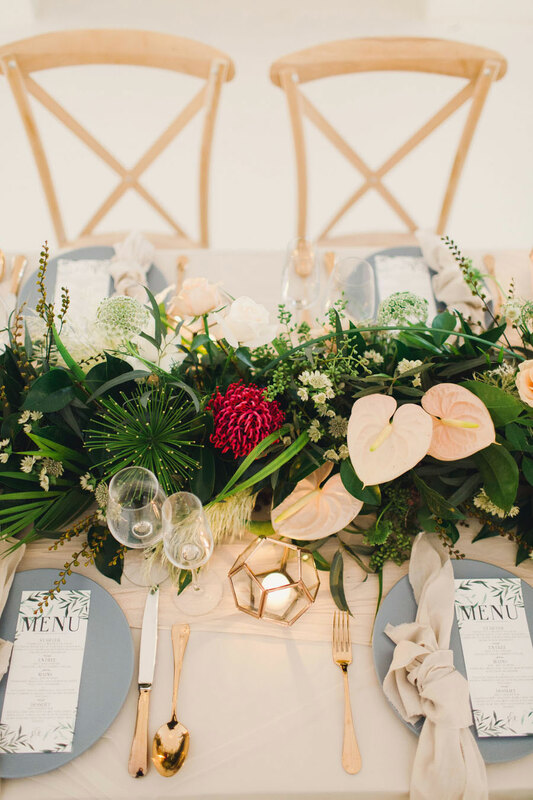 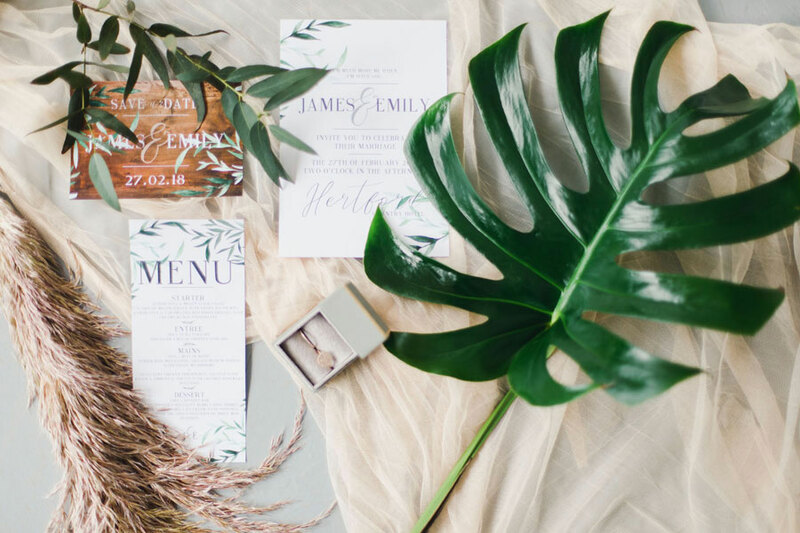 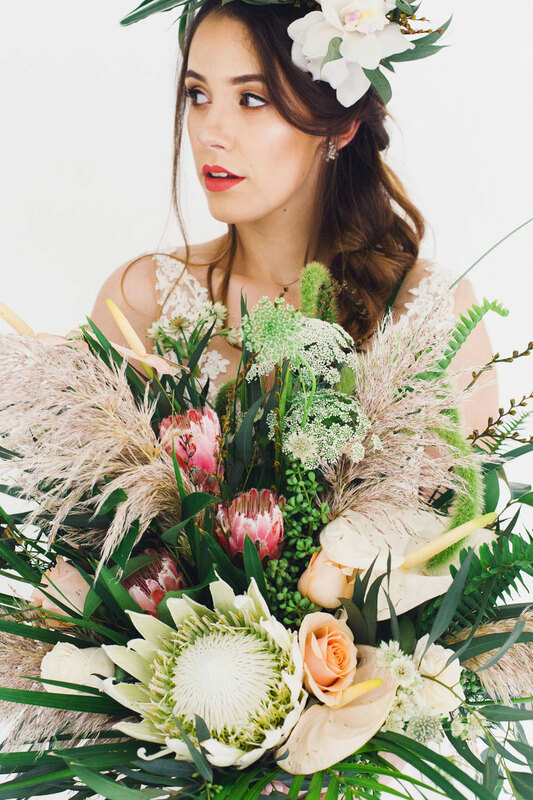 Sonja from Sophia’s Floral Design enjoyed playing around with textures and used a lot of different foliage and flowers, mainly anthuriums, proteas, orchids, lace and pampas grass. 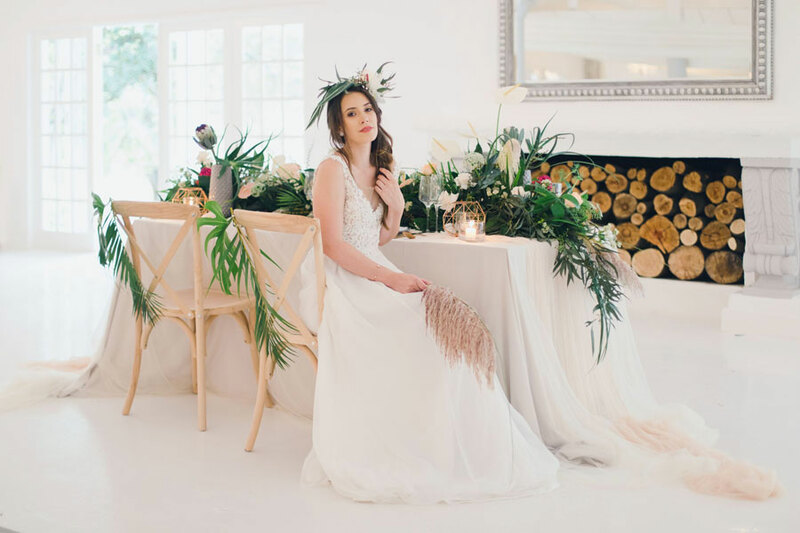 The pampas grass, in particular, added to the overall boho theme of the shoot. 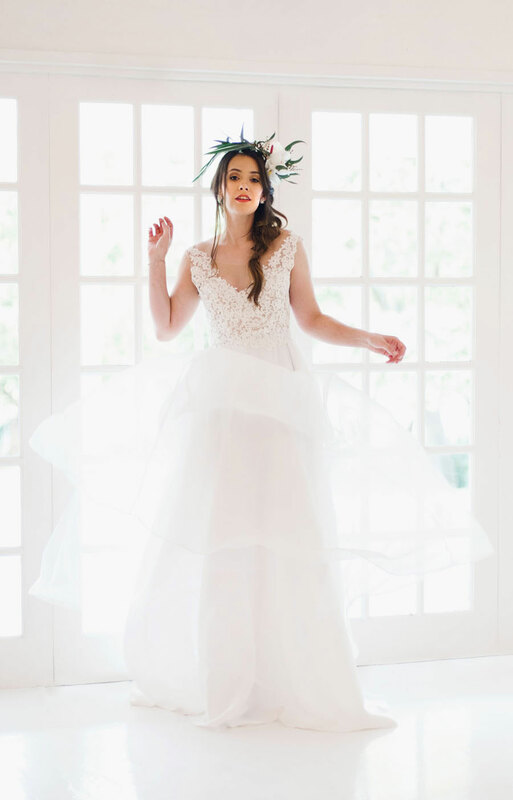 The model’s dress by Emanuel Hendrik was shipped in from Germany. 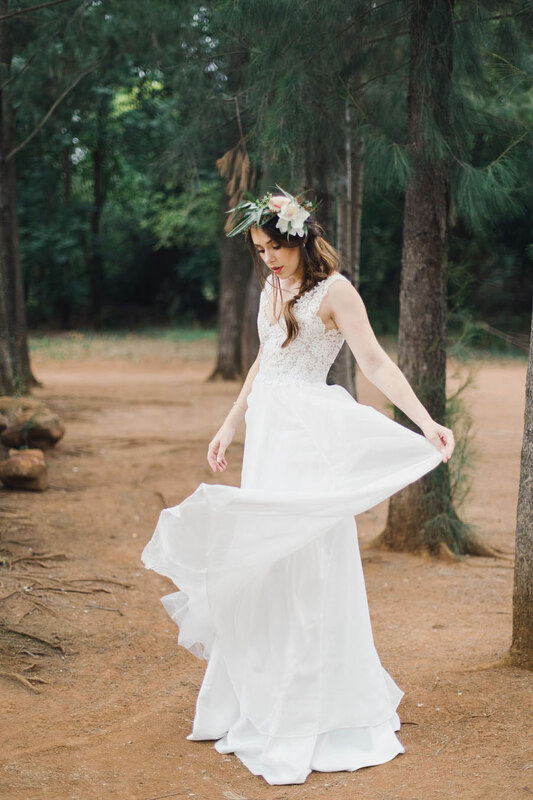 The floral top nicely complemented the botanical vibe of the shoot and the floaty chiffon skirt added to the romantic boho setting. 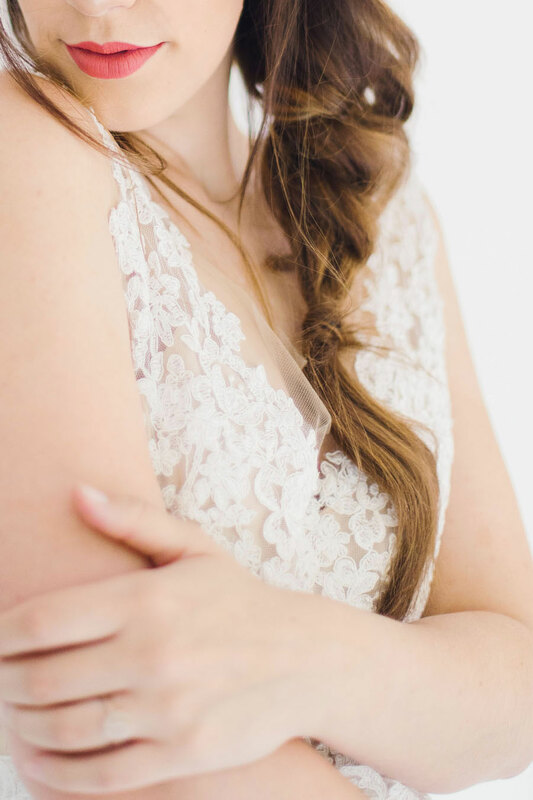 The model’s hair looked purposefully messy and a bit un-done, emphasizing simplistic, natural beauty. 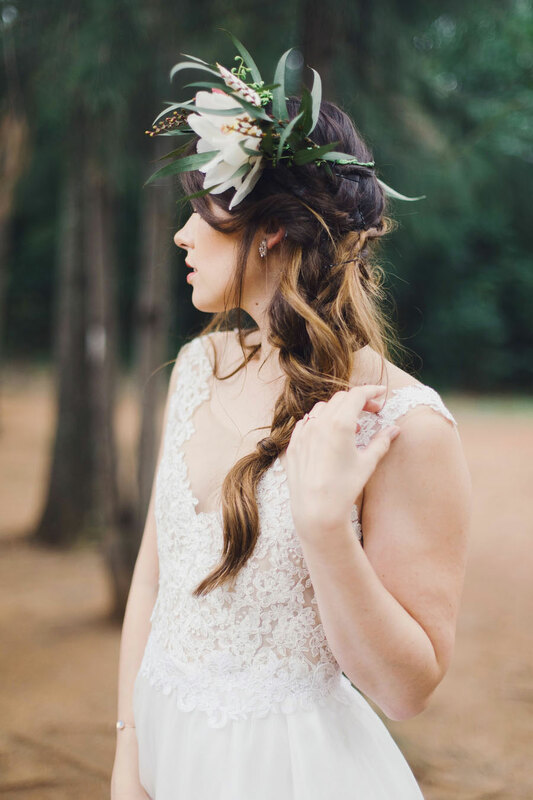 The wildflower crown perfectly complemented the messy hairstyle. 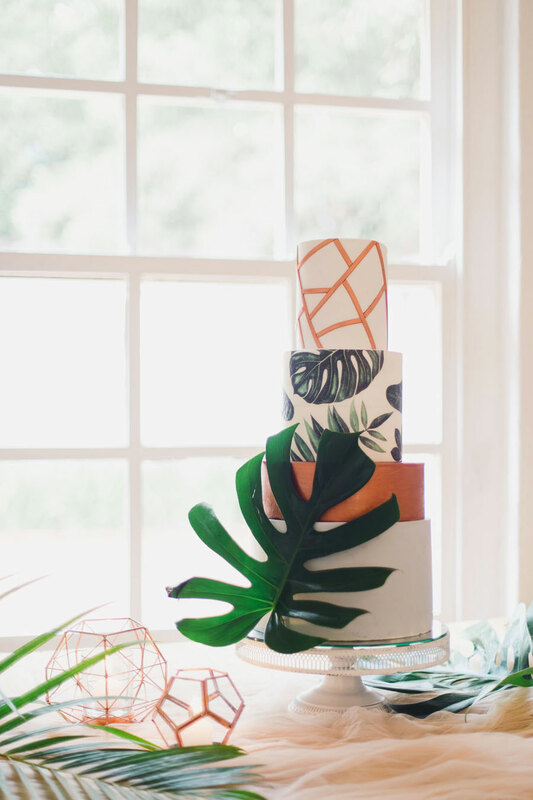 The stunning four-tier cake by Sweetly Detailed was based on a very simplistic design within the theme and colours of the Boho Botanical shoot. 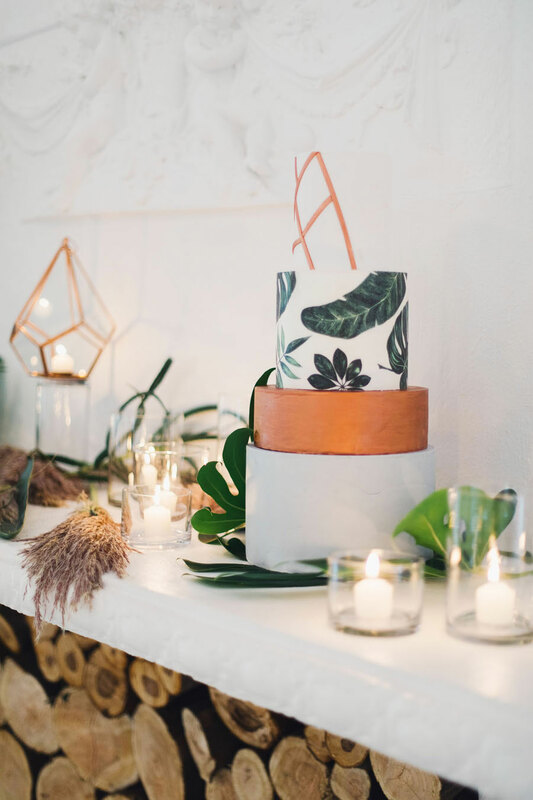 The bottom two tiers were plain grey and rose gold with no design to give the cake a minimalist and modern feel, the 3rd tier was covered in an edible print with botanical/tropical leaves to complement the stationery and flower designs of the shoot. 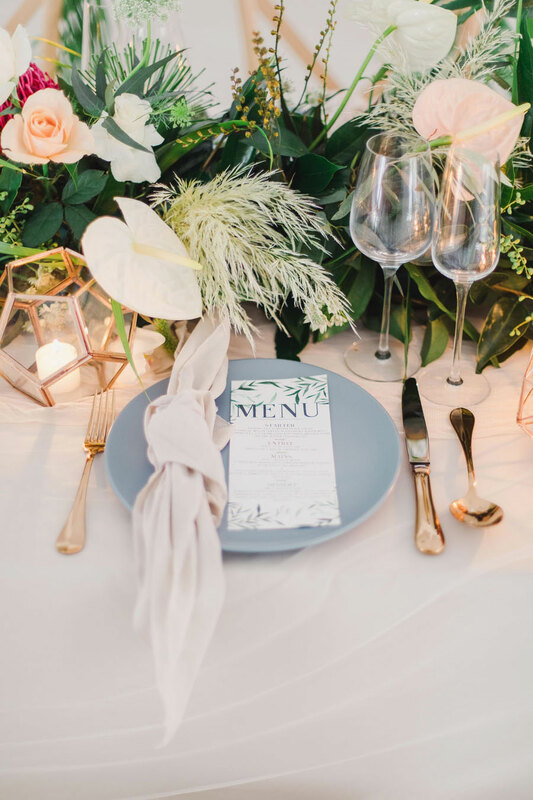 The top tier was finished off with rose gold geometric lines to pick up on the rose gold cutlery and decor used for the table design and stationery. 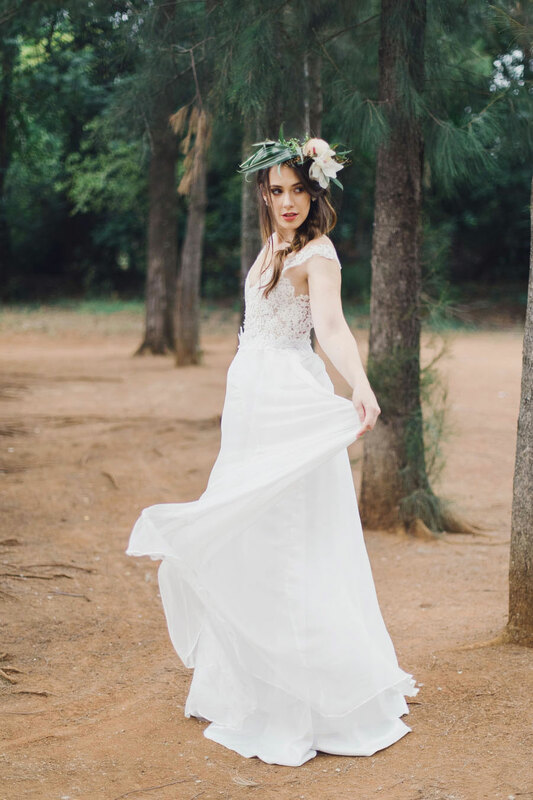 The shoot took place at the Hertford Country Hotel near Johannesburg. 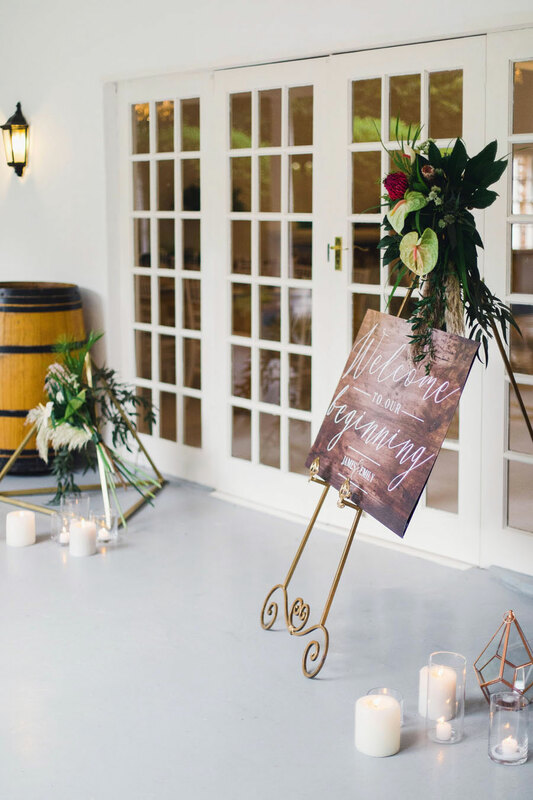 Boasting an almost Secret Garden-like seclusion, The Hertford offers style and tranquillity and comes complete with a quaint stone chapel on the premises. 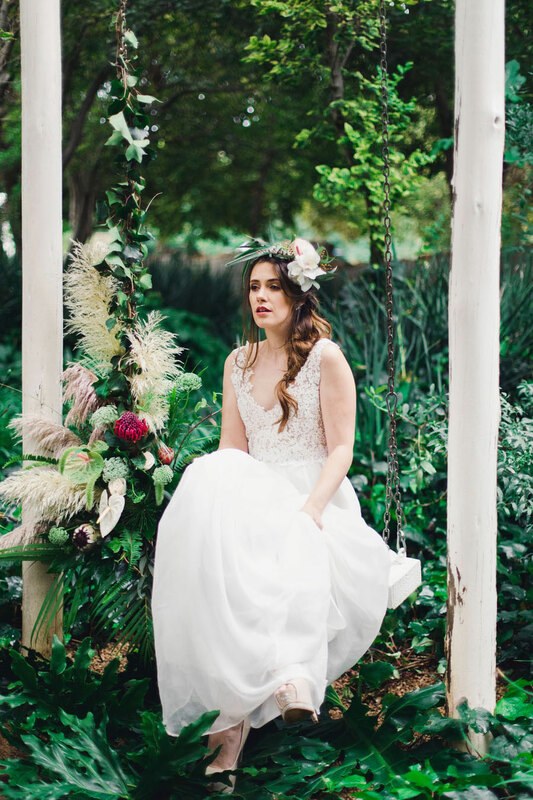 The lush gardens offered ample photo opportunities. 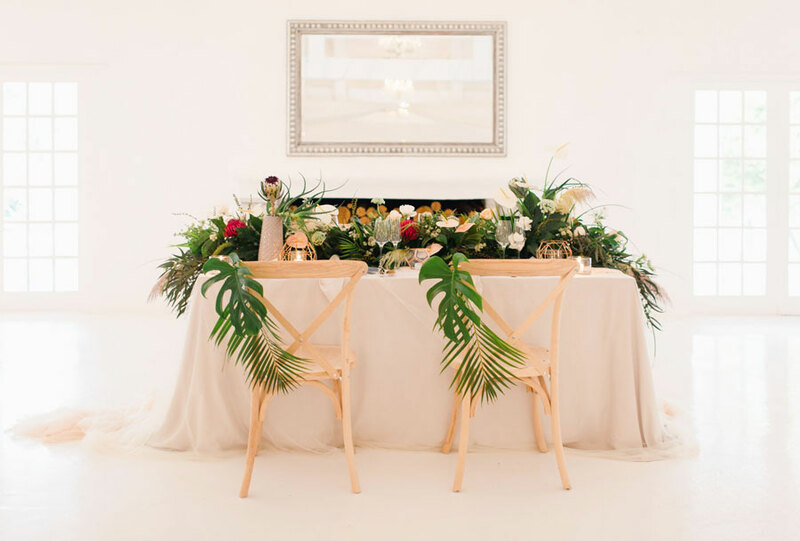 In particular, the swing, to which plenty of flowers and foliage were added made the photos look like something from another world.